In this magical and love filled tail, King Campbell, Super Seeing Eye Dog AKA Bubba travels to the puppy nursery at The Seeing Eye to help ready a group of puppies who are just about to embark on the fabulous journey of learning to become Seeing Eye dogs. Just as he is about to finish his tail, a wee pup becomes very frightened of all that lies ahead, and one frightfully stormy night she runs away! Will King Campbell hear the urgent call from the puppy nursery in time? Will they find her and save her so she can fulfil her destiny? stretched himself comfortably and once again let himself fade away. As he appeared in the nursery he noticed that there was much confusion and he could smell fear. “What is wrong?” He asked one of the mother dogs standing nearest him when he appeared in the room. “Oh! King Campbell! We have an awful problem!” She howled. “Why, whatever is the matter?” He asked with some alarm. Now, it had been storming when he had left his human mother, and it was storming there as well. Soon, King Campbell, had all the pups gathered together, along with their mothers, and he gave each of them an assigned place to look. He remembered many things about the nursery and the land around it, and he was ever sure that they would find her without much trouble at all. He made sure to keep the wee pup’s mother close to him so she would not be too afraid, and off they went into the storm. The lightning flashed! The thunder crashed! And how the wind did blow! The rain was falling hard, yet all the dogs and pups looked and looked. Sniffing here, sniffing there. They looked inside and outside too. They sniffed under bushes, and around trees. They looked under furniture in the nursery, and even in toy boxes, closets, and drawers. A bunch of little Labrador pups even tried to look in the food bins, and when they did not find her they decided to stop for a quick snack. Pretty soon though, they had looked everywhere they could think of and still there was no sign of her. It was getting later and later, the storm was worse than ever, yet still, they had not found her. As King Campbell stood with his head down, trying to think what to do, an idea suddenly came to him. He raised his head and barked very loudly! “Woolf! Woolf! Woolf!” The room fell still and he said, “Listen! Listen! Everyone! I have an idea! It is magik, and it just might work! At home when my human mother is missing special people in her life and wishes to draw them to her in some way, she sings a special song. I am going to sing it, and when you think you have the words join me! Now, come on! All gather round! Let us make a circle. All grasp paws! That’s right, come on! All together now! And remember, when you have the words sing.” He began to sing. “Listen to the bird’s sing. Listen to the chimes ring. Listen to King Campbell’s bell ringing. Listen to the rain fall. Listen to my heart call. Published by Plaisted Publishing House http://plaistedpublishinghouse.com/ . Released on the 18th October 2015 is another of my works in an Anthology done with a Facebook group called #Awethors. The Book you can find my story in is called Awethology Dark and is FREE as an eBook at all online stores. I have dyslexia and Irlen Syndrome and other health conditions as a result I use a power chair to get around. I am to a writer of which has given me a form of escape my everyday difficulties, I love to get involved with my character because she’s apart of me. I’ve only started writing in 2012 and reading over the last few years, i felt afraid of the written word for so long, even though I was in my 40s when I put my pen to paper. 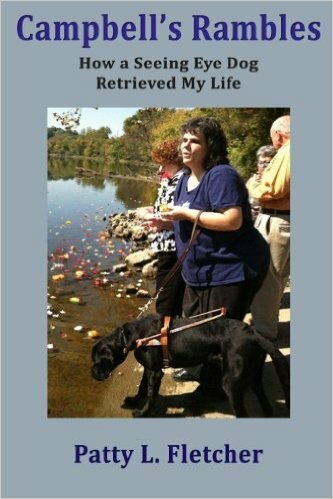 I would love to share my story with you and your readers. I’d love to hear more about you and your work. I run Tell-It-To-The-World Marketing. Maybe I can help you in some way. Of which you’d qualify for considering your disability. It is in audio format there. Bubba Tails has not as of yet been recorded there but we’re hopeful. Thanks again for dropping into campbellsworld. Wishing you lots of success with your book. Love the cover too. Iâm looking for folks to read and review this and my other book as well. I get you on the jinormous TBR pile. So, even though I offer free copies I still havenât any takers. Iâve got a couple new places to advertise it so Iâm hopeful. It will be what it is. All is well.